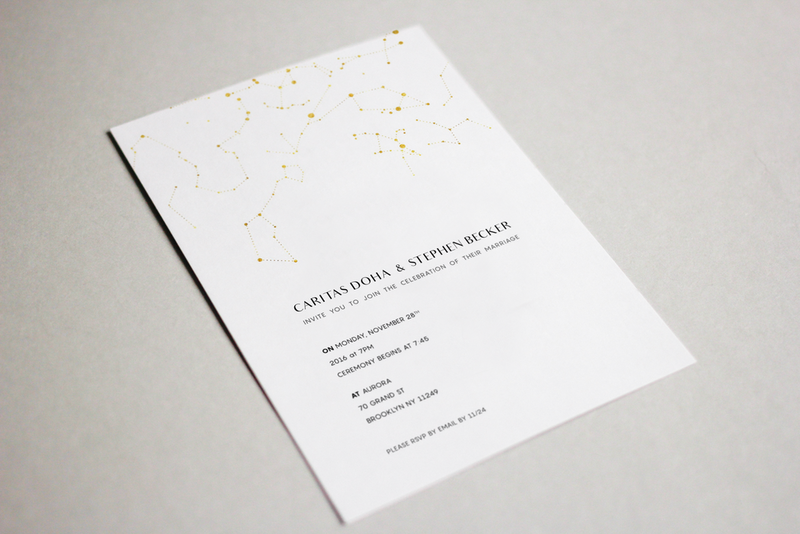 Caritas and Stephen hired me to design their wedding invitation last winter. They are a stylish couple and planned their wedding in only two weeks! I enjoyed working with them on such a tight schedule to match their easy-going but high-end vibe.